We live in the context of a world of insecurity. We are in a time of rough seas. For those who like windy weather, such days are exciting. 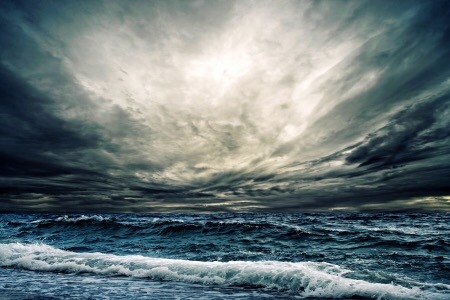 When Jesus comes to His disciples over a stormy sea, His first words are: “Do not fear.” So do not fear, people of God: we are in a context ideally made for us. It’s the sea we swim best in. It’s a sea in which it’s for us to give, to suffer, to die, to convert, to transform. It is not a time for safe hands and faint hearts. It is a time for courage and adventure, and living as the people we really are. The only certainty in the world is Jesus Christ. He is completely true, completely faithful, completely trustworthy. He simply asks us, His servants, to live in a way that witnesses to Him in this world.